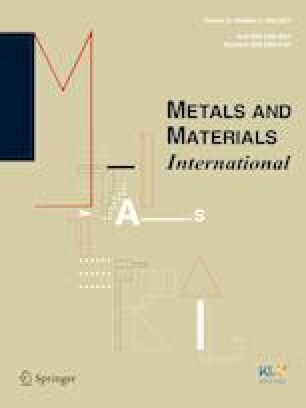 The microstructure and properties of the novel heat resistant Al–3Ce–7Cu alloy produced by selective laser melting were investigated. Fine Al11Ce3 and Al6.5CeCu6.5 eutectic phases were found in the microstructure. Annealing at temperatures in the 250–400 °C range leads to a decrease in the hardness. Hardness has larger values after annealing at 350 and 400 °C than at 250 °C due to the precipitation of nanosized particles. The low hardness after quenching and aging at 190 °C is caused by quench stress relief and the absence of aging hardening because of poor solid solution. The as-printed yield strength, ultimate tensile strength and elongation are 274 MPa, 456 MPa and 4.4%, respectively. High mechanical properties of the Al–3Ce–7Cu alloy were demonstrated by high temperature tension and compression tests. This work was supported by the Ministry of Education and Science of the Russian Federation in the framework of Increase Competitiveness Program of NUST ‘‘MISiS” and within the framework of the project for creation of high-tech manufacturing ‘‘Creation of material-effective manufacturing of aluminum alloy powders and development of additive technologies for the produce of parts for aircraft control systems”.